Optimal Spindle Diameter Sizes Increase Productivity in Machining Deep, Multi-Faced Workpieces. 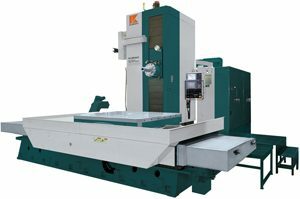 Very rigid spindle of Horizontal Boring & Milling Machines ensures maximum capability in spindle feeding machining. High-torque 3-steps geared head spindle ensures powerful heavy-duty cutting.